Thank you so much for starting this web site. I think it is terrific. I have always hoped there would be someplace I could possibly find out something about my brother. He was only 18 years old when he died. I was a 10 year old girl at the time, and it hit me very hard, as he was a very special brother. I have three other brothers, two who served in the Coast Guard during the war. The third wasn’t old enough to enlist. I am sending some pictures which I copied for you. I am also sending some excerpts from several of his letters. 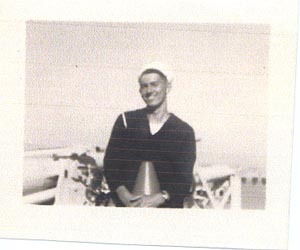 I wrote to the Navy Department for any info on him. I was told that they have graves at the National Memorial Cemetery of the Pacific in Honolulu, HI. 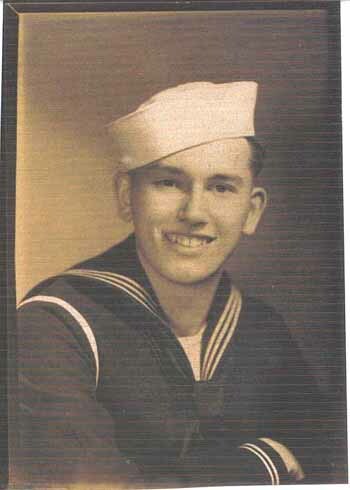 There were 33 from the USS West Virginia who were classified as Pearl Harbor unknown. The remains are in combined graves in the Punchbowl Crater Cemetery. That is a lot more information than my parents ever received. I guess living in the age of the computer, I have the ability to learn more about that day. This was from a letter dated August 2, 1941. This was from a letter dated August 23, 1941. This was from a letter dated November 28, 1941. This was his last letter dated December 3, 1941. I was greatly relieved when we got word that Harold K. Costill, my brother "Brud" as we called him, was not one of the guys trapped in the air bubble, who lasted for twenty some days before suffocating. tour. He met a survivor who had been on the WV. That man told our friend that Harold had relieved his watch early that Sunday Morning, or he might not have been down below when the bombs hit. I am well aware of the role fate played in deciding who lived and who died. I was on an assault transport and took part in the invasions of Casablanca, Sicily, Salerno, Normandy and Southern France. When I hear people try to romanticize war, it makes me sick. Sherman said it best "War is Hell"
My grandsons are approaching the age when they could be involved in another war.